We thought we might not make it, but here we are. This past weekend really felt like the first of a new, warmer season. Of course, with these newly warm days, our impulse is to buy up all the lettuce plants we can carry, and fill our carts with asparagus and peas. But unfortunately, despite what the recent bursts of sunshine might imply, it’s still a little too early to be planting our patches, let alone expect much ­in the local produce aisle (aside from a few foraged treats and hothouse goodies, of course). 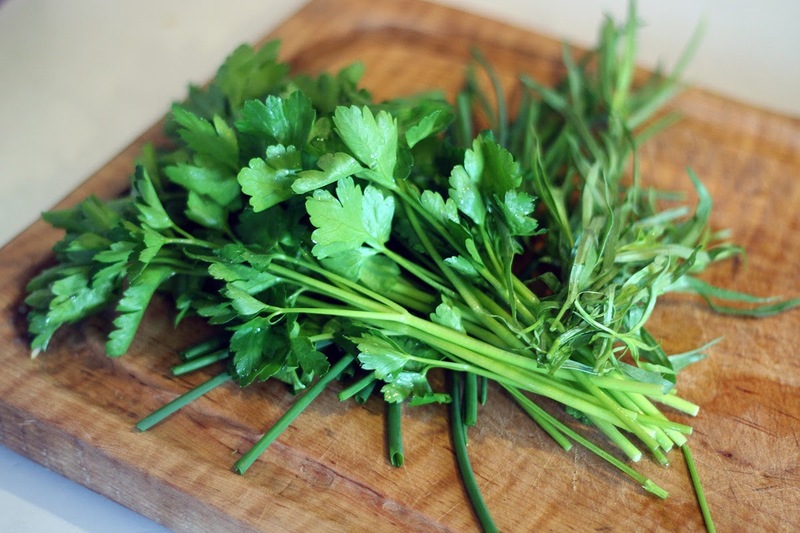 While we hold out just a few more weeks for truly local veggies, there are a few green things we can always count on to pop up bright and early in our own backyard – spring herbs. 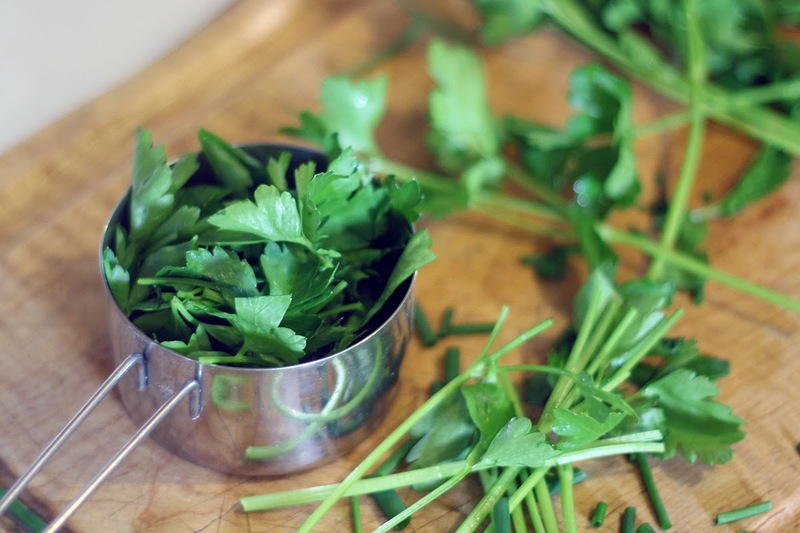 Chives, tarragon, parsley… as soon as they start showing, we chop them right back down, sprinkling them in soups, salads and pastas as fast as we can. And, as though they relish the challenge, they spring right back up, ready for more. 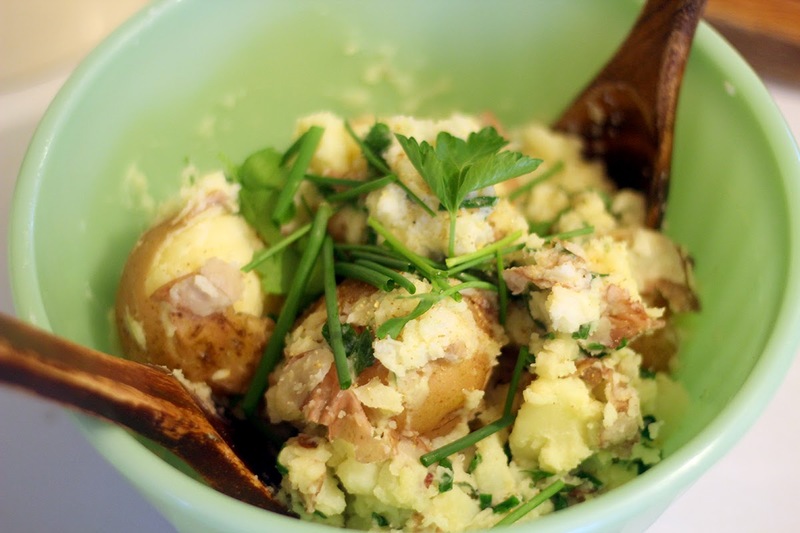 One of our favorite vehicles is an easy, rustic and forever yummy potato salad we call our Potato Mash-Up with Spring Herbs. It’s perfect next to a grilled steak or chop, and even better when shared with friends at a pot-luck or picnic. 1. Put potatoes in a pot and cover with water. Throw in a few tablespoons of salt and bring to a boil. Let cook for 20-25 minutes, or until potatoes are tender. 2. In the meantime, bring out a large serving bowl. In the bottom, mix the oil and mayonnaise until they’ve combined. Add the butter and herbs, plus a few dashes of salt and pepper. 3. When the potatoes are cooked, drain and add to the serving bowl. Toss to cover with butter, oil and herbs, artfully smashing a few potatoes while leaving some whole. 4. Add a garnish of extra herbs, salt and pepper, and maybe another pat of butter for good measure. Enjoy! Note: This recipe originally appeared on RuralIntelligence.com on May 13, 2014. It's been back-dated here on our blog so that it falls, seasonally, in the right place.